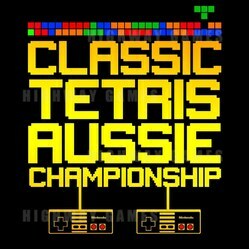 The Sydney competition is set to take place on October 4, 2018 at 1989 Arcade Bar and Kitchen; 22, King Street, Newtown. The event starts at 7pm with tickets costing $15 per person. This includes one beer and wine and one entry into the competition. Players will go head-to-head on the Nintendo Entertainment System Tetris with prizes yet to be announced. Players will compete in best out of three tournaments repeatedly until a winner is crowned. Only a very limited amount of tickets are still available. To book your ticket to the event, click here. For more information, visit the event's Facebook page.